Died of Wounds 20th November 1917, Aged 24. Albert William Howard Purnell was born on the 19th April 1893 in Cappoquin Parish, Waterford, Ireland. He was the eldest son of Walter Purnell from Trowbridge in Wiltshire and his wife, Alice, nee Knowles. Walter had taken a job in 1899 as an engineer's clerk at Herbert Morris and Bastert Limited, Empress Works, Loughborough. In 1900 Albert's brother, Howard George, was born in Waterford, Ireland and in 1901 the whole family were living at 41 Queen's Road, Loughborough. On the 21st January 1902, when Albert was eight, he joined the Loughborough Grammar School. His father was then General Manager at the Empress Works. Albert's second brother, Nelson Bruce, was born in Loughborough on the 2nd April 1906. On the 31st July 1907 Walter became a director of Herbert Morris and Bastert Limited and in December that year Albert was 'top of the class' and his work was 'Excellent'. Albert left the Grammar School after seven years, on the 30th July 1909, when he was sixteen and in the sixth form. He continued his education in Germany, specifically to learn German and he went on to attend the State University at Köthen (Anhalt). The 1911 census shows that the family had moved to 64 Beacon Road, Loughborough and a third son, Nelson, was then five years old. Albert took his diploma in Engineering at the university and achieved honours in all subjects. He then returned to England in 1913 and joined his father at the Empress Works. Albert enlisted soon after the outbreak of war and served with the Mechanical Transport Corps, leaving for France in October 1914. The MTC was extremely important in its role of maintaining supply as the armies advanced over difficult terrain. Mechanical Transport Companies were not under orders of a Division although some were attached to a given Division and worked very closely with it. The service numbers of soldiers who served in the Mechanical Transport were usually prefixed with the letter 'M'. Aged twenty-four, Albert, known as Bert, left England with the Royal Garrison Artillery in October 1917. He was serving with the 120th Siege Battery attached to the Royal Garrison Artillary and in charge of an observation post close to the front line when he was reported missing on the 13th November 1917. He had become a prisoner of war. One week later, on the 20th November 1917, he died of wounds and was buried in a German cemetery – Winkel St. Eloi Cemetery of Honour. Bert was identified from the GB list, clothing and cross and he was re-buried in Harlebeke New British Cemetery on the 19th November 1923. The inscription on his headstone reads: "He was the soul of honour." He is remembered on the Carillon Tower, The Baptist Church, Loughborough and Loughborough Grammar School's Roll of Honour. Labels: died of wounds, Loughborough, Prisoner of War, Royal Garrison Artillary. Second Lieutenant William Frederick Jelley, M.C. Died of Wounds, Friday 2nd November 1917. William Frederick Jelley was the only son of Police Sergeant Charles William Jelley and his wife, Temperance. In 1891 Charles, Temperance and their daughter, Mary, aged six, were living in Barrow upon Soar. William Frederick Jelley was born on the 22nd August 1895 in Syston, Leicestershire. Charles and Temperance had two more children, but sadly they didn't survive. In 1901 the family had moved to 193 Main Street, Thurmaston and in 1909 they had moved again, to Loughborough, and were living in Church Gate. William attended the Intermediate School in Loughborough and on the 28th September 1909, when he was fourteen, he moved on to the Loughborough Grammar School where he stayed for four years. His school report showed him to be a good scholar, except in French where he "could do better". He joined the Sixth Form in 1911 and the family had moved to 36 Leopold Street, Loughborough. His French was still "very poor" but his results in Mathematics were good. He left the Grammar School on the 30th July 1913 when he was almost eighteen to become a student teacher. He was also one of the founders of the Nanpantan Troop of Boy Scouts, of which he was Scoutmaster. When William Jelley was nineteen he had completed his first year's teaching at the Church Gate Council School, and then war broke out on the 4th of August 1914. William Jelley enlisted with the 8th Battalion of the Leicestershire Regiment and on the 29th July 1915, after nearly a year's training at Aldershot, the 8th Leicesters left camp for Folkestone to board the troopship SS Golden Eagle, to take them to Boulogne, France. William Jelley rose through the ranks from Private to Lance Serjeant. On the 14th July 1916, the 8th Leicesters were to take part in the battle of Bazentin Ridge and it was during this engagement, on the 15th July, that the now Serjeant Jelley received a gunshot wound to his left arm. It took four days from being wounded to arrive back in England, via Base Hospital at Rouen, and then hospital ship back to England. Whilst he was recovering, Serjeant Jelley was put through a training course and early in 1917, he obtained a commission with the 6th Battalion Yorkshire Regiment, (Princess of Wales's Own), and returned to the front a few weeks later. Now an officer, Second Lieutenant Jelley was once again wounded on the 14th August 1917. The Battalion war diary recorded the day’s events. Platoons and 1 half platoons in support, To occupy the old line of posts, 2 platoons of B’ Coy immediately in rear to occupy a prepared position on the W Bank of STEENBEEK. C’Coy on the left with 2 half platoons and 1 platoon in support to occupy old line of posts. At 4am the barrage came down and the advanced commenced. C’ Coy gained their objective on the left, A’ Coy held up on the right by hostile M.G. fire from dug outs untouched by bombardment. Enemy delivered several small attacks during the day on A’ Coy, which were easily repelled by rifle fire, intense shelling all day by enemy. All night battalion relieved by 5th Dorset Regiment, who took up positions on the W Bank of the STEENBEEK, outposts being withdrawn through them. Casualties: 2nd Lieutenant C.S.M. WELDON and 2nd Lieutenant W. F. JELLEY wounded, other ranks: 20 killed, 63 wounded, 26 missing. When dark fell stretcher-bearers removed the young officer from the field. Very badly wounded, Second Lieutenant Jelley was taken first to the field dressing station then on to a casualty clearing station. He was then transported to the No 2 British Red Cross Hospital in Rouen. You are permitted to visit 2nd Lt. W. F. Jelley, dangerously ill, gun shot wound head and thigh fracture femur, at No 2 Red Cross Hospital Rouen. Mr. Jelley received permission from Loughborough Police station for him and his wife to travel from Loughborough to Rouen and he made arrangements to journey there to see his son. Upon arriving at the No. 2 Red Cross Hospital in Rouen, Mr. and Mrs. Jelley visited William who was in a critical condition, the gun-shot wound to his head was not life threatening, but the fracture to the femur could cause complications. It was during this time, whilst in hospital, that the news was conveyed on Second Lieutenant Jelley, that he had been awarded the Military Cross for Bravery in the Field on the 14th August. One of the Royal Princes read his M.C. citation, which was reported in the London Gazette on the 8th January 1918, to him. Second Lieutenant William Frederick Jelley, attd. York. Regiment. For conspicuous gallantry and devotion to duty in handling his platoon. although in great pain and unable to move, he continued to urge on his men, and by his splendid pluck and fortitude kept up their spirits until after dark, when he was carried from the field. Mrs. Jelley received another Telegram from the War Office, stating their son was still dangerously ill but that his condition was improved. father’s presence, on the 2nd November 1917, aged just 22 years. His mother received a telegram from the War Office, which read: "Deeply regret to inform you that 2nd Lt. W. F. Jelley, York. Reg., died of wounds, November second. The Army Council conveys their sympathy." William Frederick Jelley's funeral took place the following morning, at St. Sever Cemetery, Rouen. His father was present to witness his son being accorded full military honours. Second Lieutenant William Frederick Jelley was interred in plot B. 4. Grave 14. The epitaph on his headstone reads: "I have fought the good fight, I have finished my course." His will, that Lance Serjeant 12151, W. F. Jelley, wrote and signed on the 28th July 1915, left £5 to his father, Charles William Jelley of 124 Leopold Street, Loughborough, and the remaining property to his mother, Temperence Jelley of the same address. On the 24th January she received £125 10s 2d. As well as the Military Cross, Second Lieutenant Jelley was awarded the 1915 Star, The Victory Medal and the British (Service) Medal. Second Lieutenant William Frederick Jelley is remembered on the Carillon Tower War Memorial, St Peter's Church Roll of Honour and Loughborough Grammar School's Roll of Honour. William Leslie Holt was born in Leicester on the 7th March 1898, the son of Shropshire born Reverend Alfred Holt, who was a clergyman of the Church of England, and his wife Sarah Annie, who was the daughter of the late James and Mary Walters of Derby. In 1901, William was three years old and had three older sisters, Margaret, sixteen, Dorothy, eleven and Milicent, seven. The family were then living at 8 Upper King Street, Leicester. In 1901, when William was thirteen, they had moved to The Vicarage, Holy Bones, Leicester and William's father was also a schoolteacher with the Leicester borough Council Education Authority. Second Lieutenant Holt was killed instantly by a shell. His records show that he was killed in action on the 23rd December 1917 as does De Ruvigney's Roll of Honour and some Commonwealth Ward Graves Commission documents, although others and his headstone show Saturday, 22nd December 1917. His Commanding Officer wrote: "I need hardly say he is a loss to this Battalion, as he was so cheerful and willing to do anything for anybody." Four brother officers, in a joint letter, stated: "Your son proved himself a most excellent soldier and comrade." An extract from The Loughbrurian, the Magazine of Loughborough Grammar School stated: "He was a mixture of strength and gentleness. Here he was liked and respected and trusted by all." William was just nineteen when he died. I will go forth in the strength of the Lord God. Ps LXX1.14. William Holt is remembered on the Loughborough Carillon Tower War Memorial, Shepshed War Memorial, Wyggeston Grammar School for Boys Memorial, Leicester, Loughborough Grammar School Memorial and the Roll of Honour in St. James the Greater Church, Oaks in Charnwood. Sister Elise Kemp is the only nurse from New Zealand to be killed in action and buried on the Western Front during World War 1. Elise Margaret Kemp was born on the 19th June 1881 in Wellington, New Zealand. Her father was Dr William Kemp and her mother, Charlotte (nee Greenwood). William Kemp was originally from Northumberland and attended Durham University where he qualified as a doctor of medicine. He went to work in Nelson, New Zealand as a surgeon. It was whilst he was working here that he met his wife, Charlotte and they were married in 1870. By this time William had moved to Wellington hospital and the couple settled there. It is thought that William did become New Zealand's Chief Medical Officer. Not long after Elise was born, the family travelled to London. Elise was William and Charlotte's third daughter and she had five siblings. In the 1901 census, William (54) and Charlotte (52), together with four of their children, Violet (23), Elise (19), Kathleen (17), Charles (16) together with a domestic servant and a cook, were living at 38 Alwyn Road, West Dulwich, London. Although Elise's elder sister and brother are not listed, so they may have stayed in New Zealand. 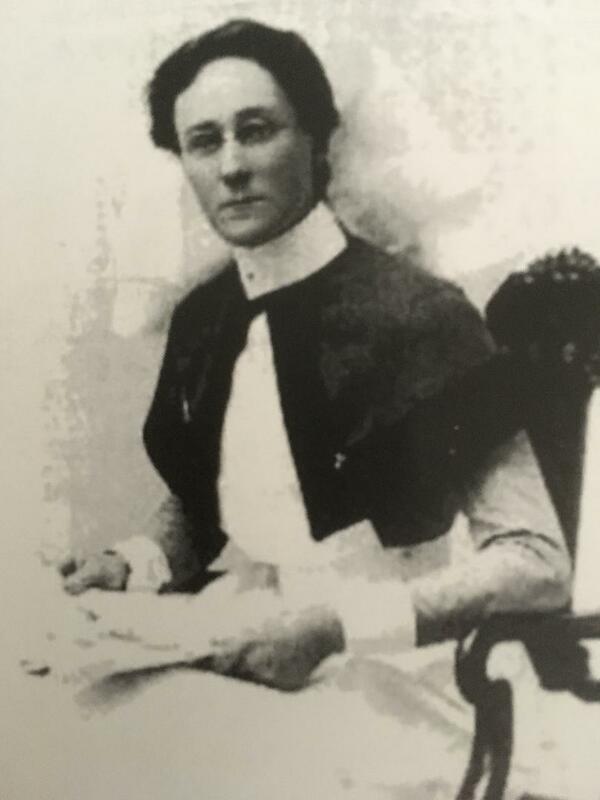 Elise Kemp entered King's College Hospital's nursing school when she was twenty-three and qualified after four year's of training. When war broke out, on the 4th August 1914, Elise became a member of the Territorial Forces Nursing Service and her brothers joined the Royal Army Medical Corps. Elise served in London until January 1916 when she was posted to the Western Front and worked in the 58th Casualty Clearing Station, known as West Riding CCS, which was located in Lillers, France between October 1915 and April 1918. Although Sister Kemp was attached to the 58th CCS she was on duty at the 37th CCS, which was temporarily at Godewaersvelde from July to November 1917. During the evening of the 20th October 1917, and without warning, the 37th CCS was targeted and bombed by German aeroplanes. Sister Kemp and three of her patients were killed when a shell landed close to the tent they were in. Three orderlies died that night too and many were wounded. Sister Elise Margaret Kemp was said to be "a splendid nurse who was loved and admired by all who were privileged in knowing her." She is buried at Godewaersvelde British Cemetery, which is in Northern France, very close to the Belgian border. Godewaersvelde British Cemetery affectionately known as 'Gertie wears velvet'. Wenches in Trenches - Roses of No Man's Land - details women casualties of the Great War in Military Cemeteries.